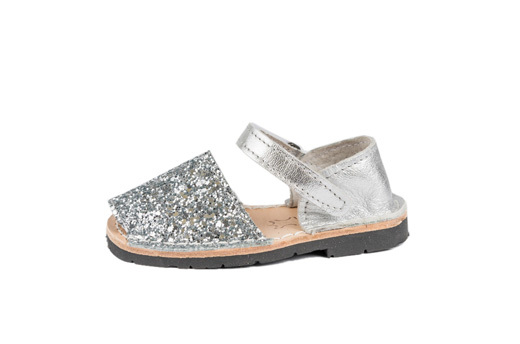 Let your child's feet look like it's a celebration everyday! 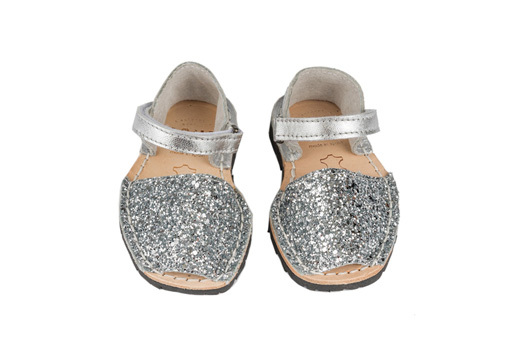 Our Frailera Pons Avarcas for Kids in Silver glitter are the perfect sparkle to bring to any party, or any day of the week! Handmade in the Mediterranean on the island of Menorca, our kids Avarcas are produced with all natural leather, have an adjustable velcro ankle strap, and a lightweight rubber sole.